Production of the first generation Nissan Pajero started for the 1982 model year where it was initially available as a 3-door short wheelbase hill climber...and I've always said that your first instinct is usually your best...and it was true for Mitsubishi. 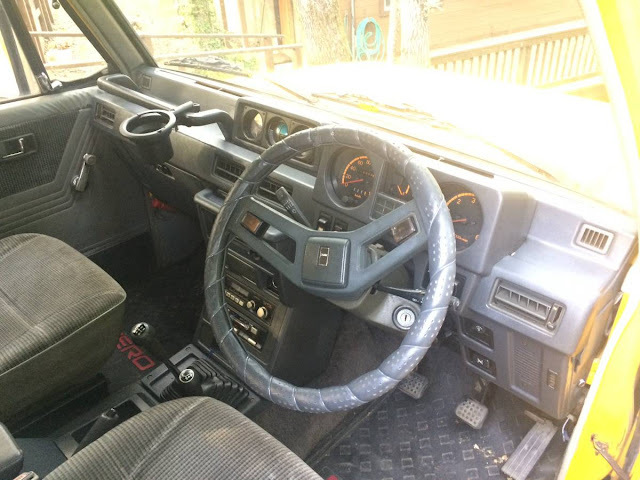 Find this 1986 Mitsubishi Pajero Diesel offered for $6,500 in Santa Rosa, CA via craigslist. Tip from Rock On! 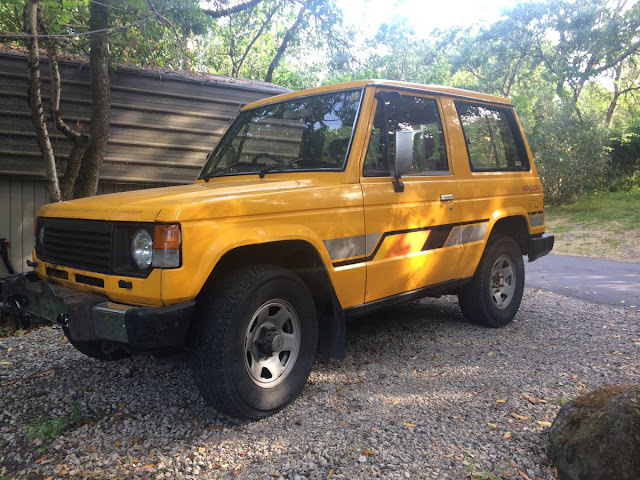 This Pajero started life somewhere in the world were you drive on the wrong side of the road, but that doesn't mean you wouldn't want it. Through some miracle the seller says it is titled in California where the turbo diesel engine is free from bi-annual smog checks. I think I'd even be willing to skip the drive thru to drive one of these on a daily basis. "Production of the first generation Nissan Pajero"
Hmm what's wrong with that?